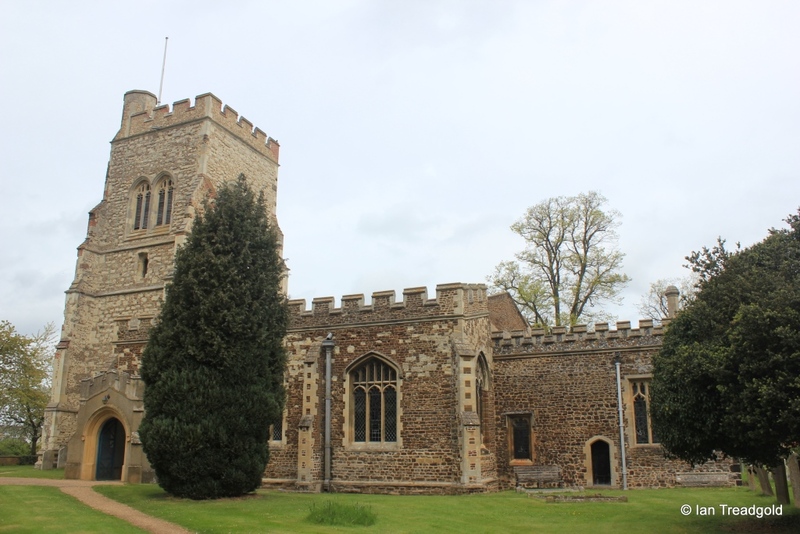 The church of St Mary in Henlow is situated to the north of the village, of to the east of the B659 Henlow to Langford Road. Parking is available outside the church.. 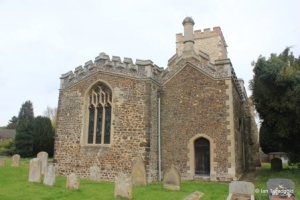 The church consists of the usual arrangement of chancel, nave, two aisles, west tower, north vestry and south porch. 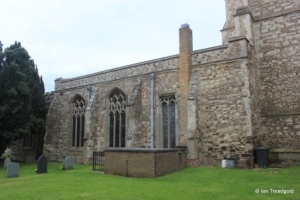 There is mention of a church in Henlow in C12 but most of the architecture dates from later with the usual additions and alterations. 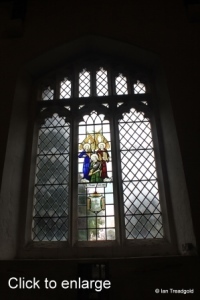 The original building was gifted by King John to Lanthony Priory on the banks of the River Severn to the west of Gloucester. 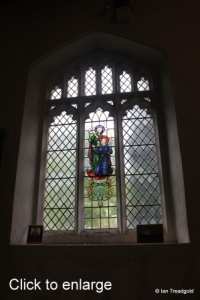 Upon the dissolution of the monasteries, the patronage passed to the Crown. 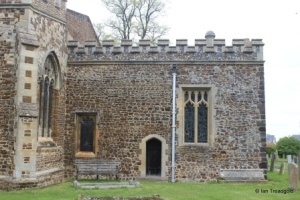 The aisles date from C13 and the tower and rebuilding of the chancel date from C15. 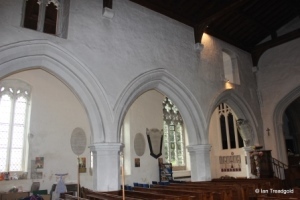 The aisle roofs were raised in height in C15 with the result that the existing clerestory windows into the nave are now entirely within the church. 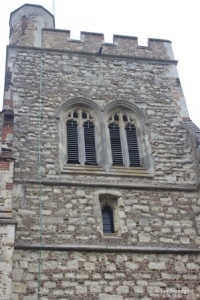 Extensive restorations took place during C19 and the tower was restored as recently as 2006. 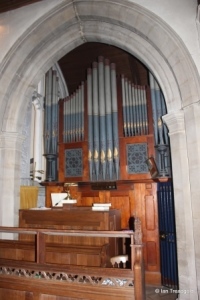 The chancel is some 27 feet by 15 with the nave being 48 by 19. The two aisles add 10 feet for the north and 12 feet for the south. 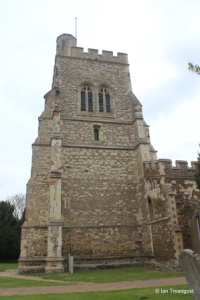 The tower is around 15 feet square rising approximately 50 feet. The south aisle has an east window of three cinquefoiled lights with original perpendicular tracery above under a two-centred arch. 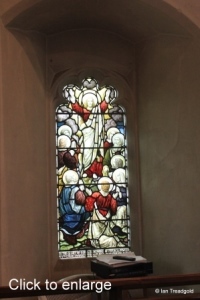 The glass in the windows depicts the Presentation of Christ in the Temple and dates from the early C20. 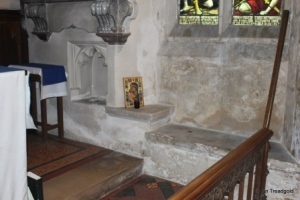 To the right of the south aisle altar is a rare pillar piscine set in a niche. 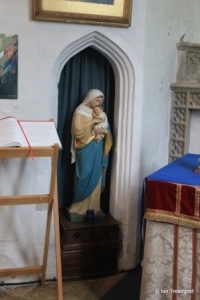 To the left of the altar is a statue of Mary and the infant Jesus sited in the entrance to the rood loft stairs. 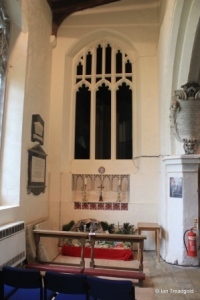 There are two south facing windows in the aisle, both of restored three cinquefoiled lights under perpendicular tracery under four-centred arches. 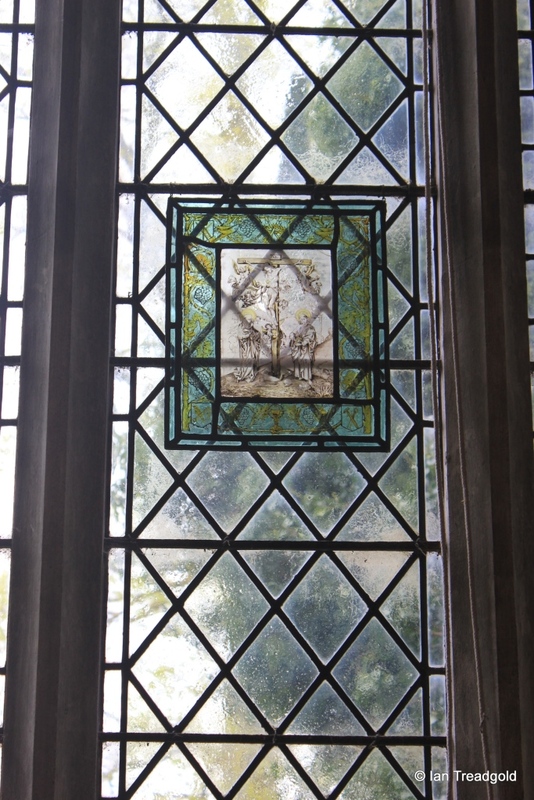 The glass in the centre lights of both dates from C20. 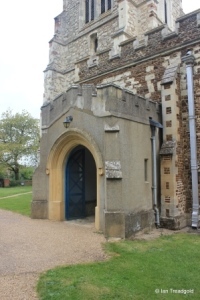 The south porch dates from the late C19 with the original being a larger half-timbered porch. 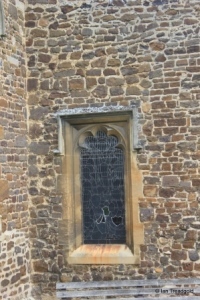 Restored in 2003 the porch is rendered and incised to give the appearance of ashlar facings. 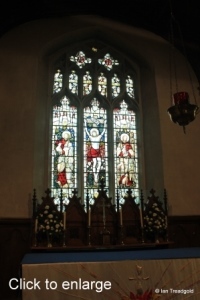 There are single light windows to the east and west. 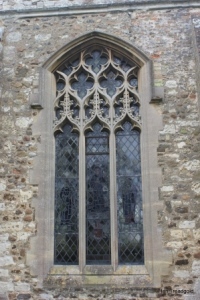 There is a high cinquefoiled single light window in the west wall of the south aisle. 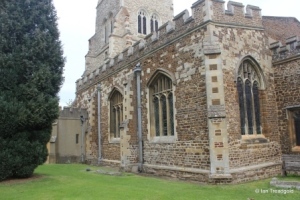 The church is embattled throughout apart from the north aisle which had its battlements removed during repairs in 1956. The imposing tower is of three stages with angle buttresses with an internal octagonal stair turret rising above the south-west corner. 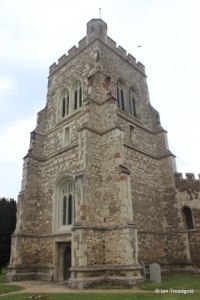 The tower was restored most recently in 2006 with repairs to the buttresses and parapet. 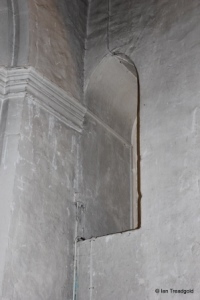 The belfry openings are conjoined pairs of two cinquefoiled lights under two-centred arches with perpendicular tracery above. 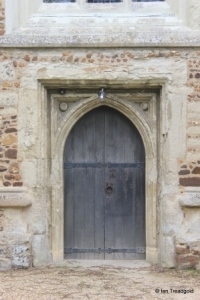 The west doorway has carved roses in the spandrels of the square head over the two-centred arch of the door. 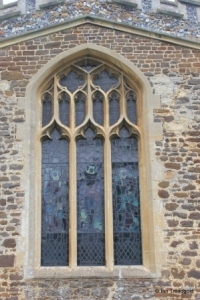 The west window above is a restored three light cinquefoiled window with perpendicular tracery under a low four-centred arch. 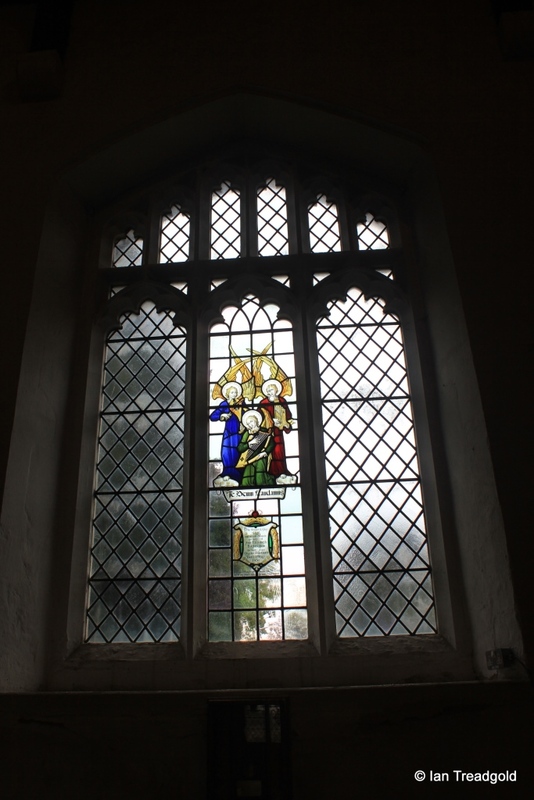 The north aisle has three windows, with the western taking the place of a north doorway with the modern boiler room and flue around it. 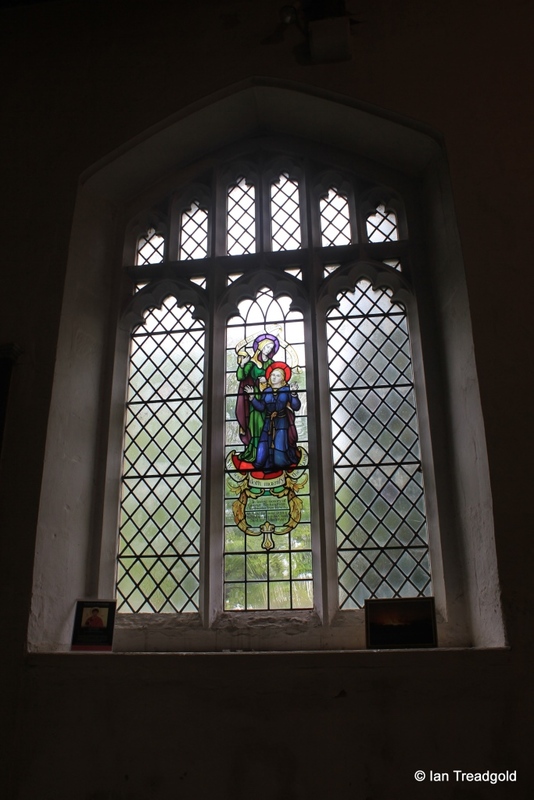 The head of this window is old and may have come from the clerestory windows when the aisle roofs were raised. 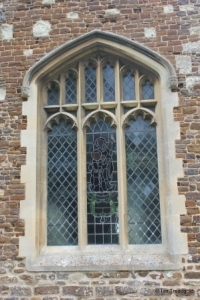 The other two windows in the aisle are modern, being of three trefoiled lights with carved crockets and finials above and quatrefoil tracery under a two-centred arch. 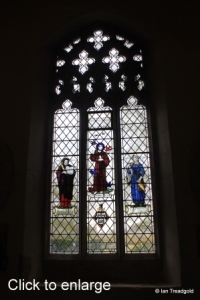 The glass in the eastern window is modern and depicts Lancelot Andrewes (a C16 English Bishop under Elizabeth I and James I), St Francis of Assisi and Florence Nightingale. 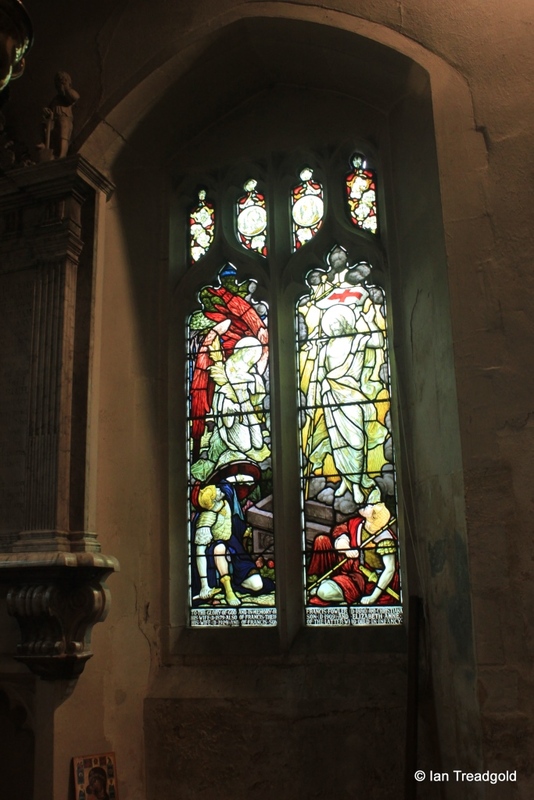 The western window of this pair in the north aisle contains a fragment of Flemish glass depicting the Crucifixion. 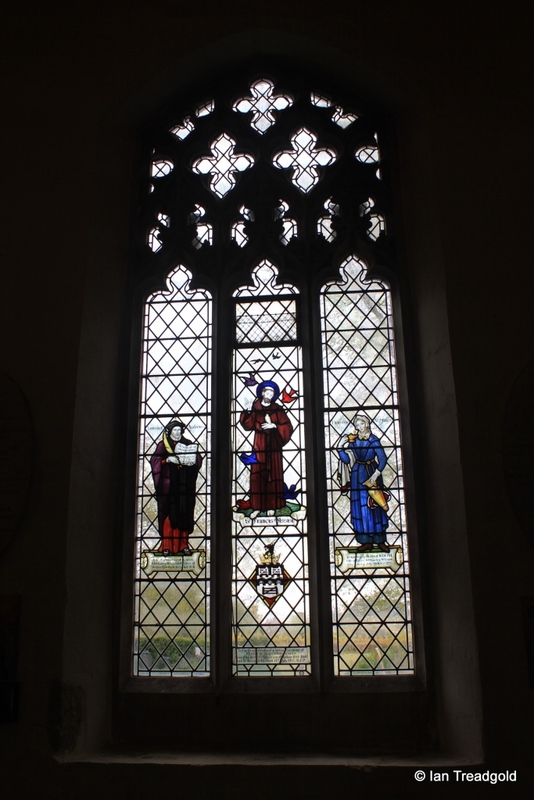 The east window of the north aisle now opens into the vestry and organ chamber. 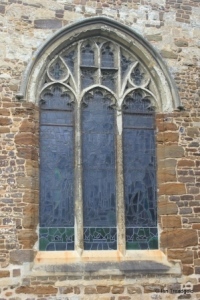 The east window of the chancel has three trefoiled lights under perpendicular tracery under a two-centered arch. 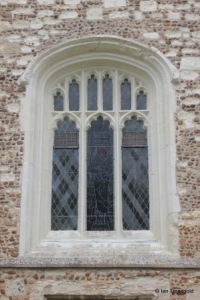 The tracery dates from Victorian restorations. 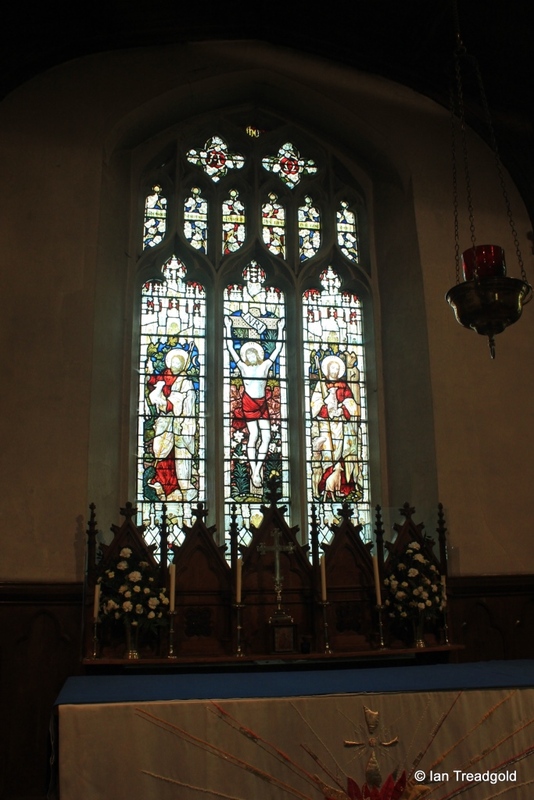 The glass in the window dates from the late C19 and depicts the Crucifixion and Christ the Good Shepherd. 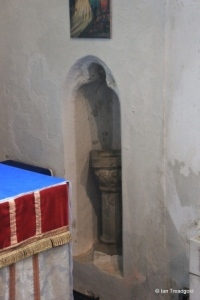 To the right of the altar are a piscine and sedilia. 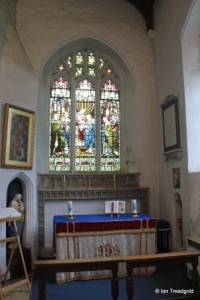 The south side of the chancel has two windows surrounding the priest's door. 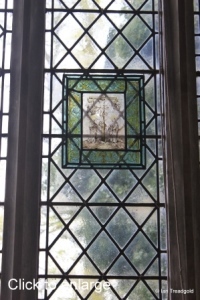 The eastern is of two cinquefoiled lights with perpendicular tracery under a square head. 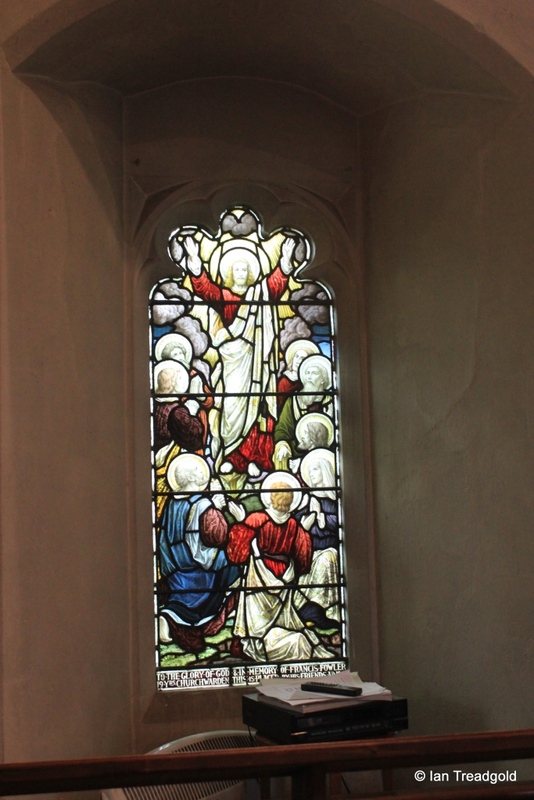 The glass dates from the early C20 and depicts scenes from the Resurrection. 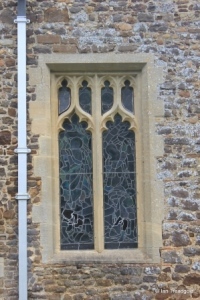 The western is a single cinquefoiled light under a square head with glass also dating from the early C20. 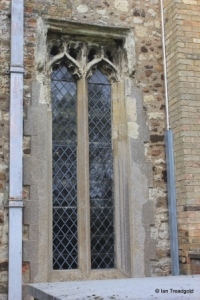 High up at the west end of the nave are two small windows the nave walls that formed part of a gallery across the nave to hold singers and a small group of musicians and date from C18. Page last changed 04/05/2014. Reformatted 25/02/2016.